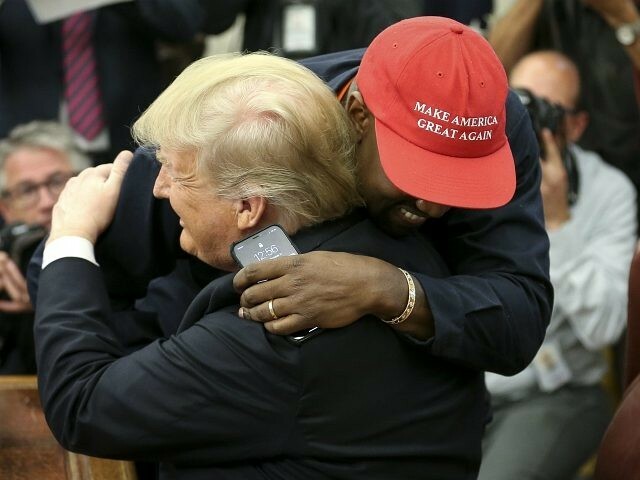 President Donald Trump met with hip-hop superstar and fashion mogul Kanye West at the on Thursday and spoke to the media in the Oval Office. West wore Trump’s campaign MAGA hat, urging Americans to rally around the president. He said that the hat was his “superman cape” allowing him to do whatever he wanted. “We have to release the love throughout the entire country and give opportunities,” he said. Kanye West spoke for about 20 minutes, discussing his support for Trump and even took questions from reporters. West talked about growing economic opportunities, rebuilding cities as well as race and culture issues. Trump praised Kanye’s remarks, which had to be edited by TV censors before it was aired on cable news. “Only after, 2024,” West replied. The famous music star said he was proud to voice his support and gave the president a hug at the end of the meeting.